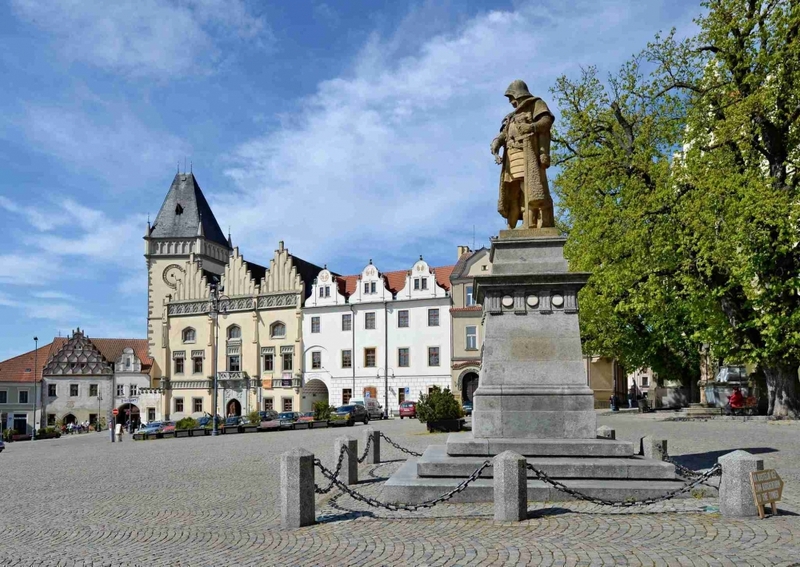 Žižka came to Tábor at the time when streets and squares were first being surveyed, and houses and parts of town walls were erected. 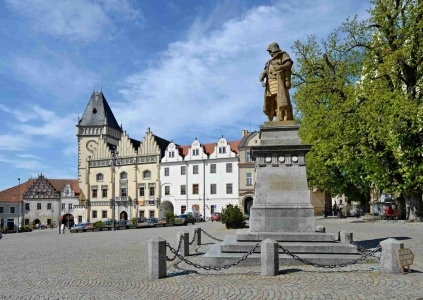 He arrived in Tábor after his first big victory which started a long row of battles in which he vanquished enemies. 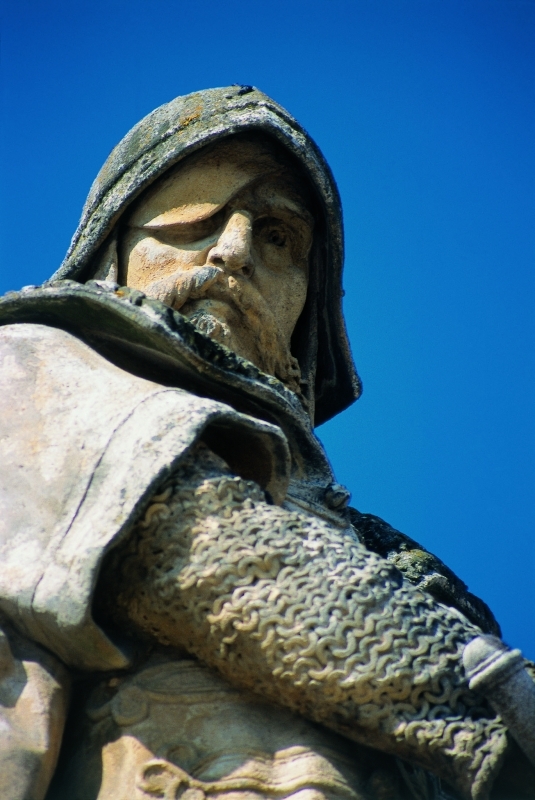 In fact he remained undefeated until his death in 1424. Even though he left Tábor eventually, he was the person who organized the life in the town and especially the troops. 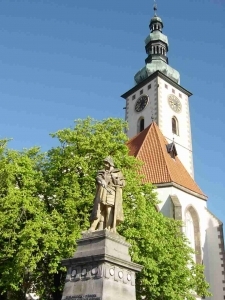 At the end of the 19th century, when the Czech nationalism began to flourish, the town council decided to commemorate Jan Žižka by erecting his statue in the square. 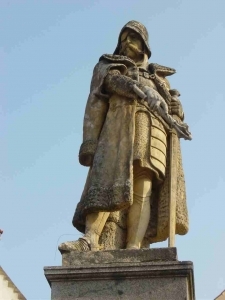 The original bronze statue made by the then beginning (later on famous) sculptor J. V. Myslbek had to be removed because of a defect in the material. 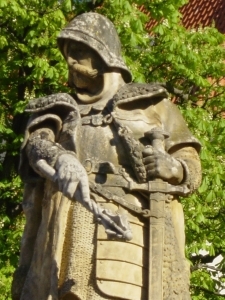 A sandstone statue sculptured by Josef Strachovský was substituted for the bronze one in 1884. On the pedestal you can read the names of places where Žižka won his battles. 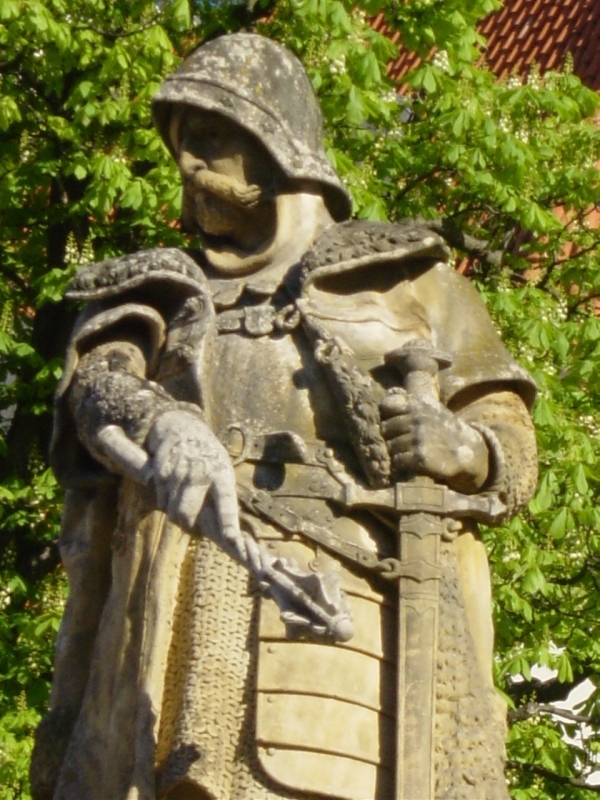 The inscription was written by the great Czech historian and expert in the Hussite era František Palacký.